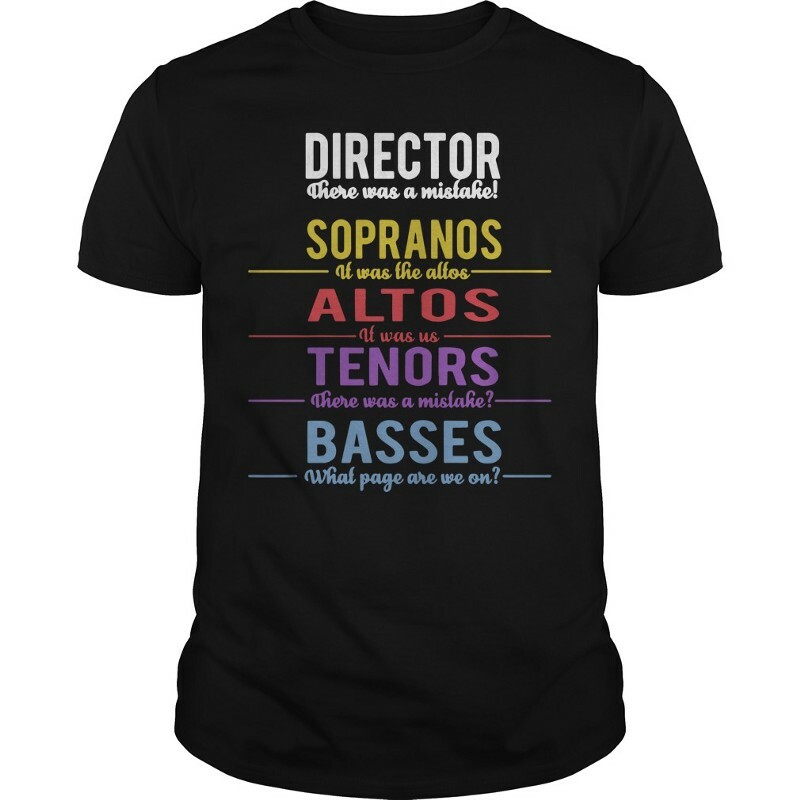 Director There Was A Mistake Sopranos Altos Tenors Basses Shirt! The only word that even comes close to describing the past few days at my house! John Boyd has been an honored guest here at the Holsinger’s. He came to visit his brother that lives about two hours from our place. He is a singer/songwriter/composer. He graciously accepted my invitation to come show us how to set up a recording studio. The past few days have been filled with singing, recording songs, editing takes, and even writing a new song and recording it for him to sing to his former College Choir Director whom he was visiting in Ohio today.